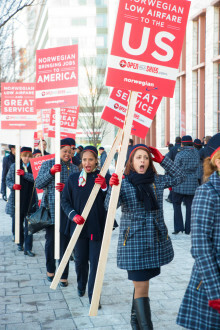 Norwegian’s U.S. based flight attendants have delivered letters to the Obama Administration urging the “swift approval” of the foreign air carrier permit application submitted by Norwegian’s affiliate, Norwegian Air International (NAI), an application that has been pending for over a year. 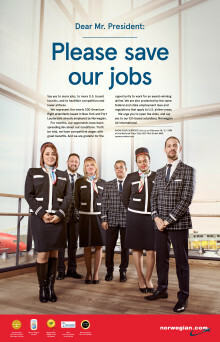 More than 300 U.S. flight attendants work for Norwegian at crew bases in New York and Fort Lauderdale. 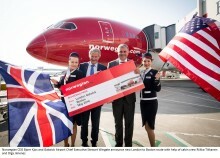 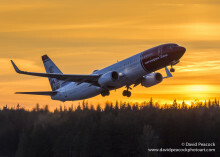 Norwegian reports a traffic growth of 21 percent in November. 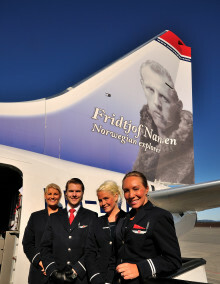 The company carried more than 1.7 million passengers this month. 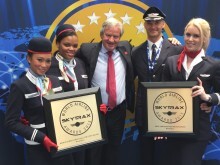 The load factor was 79 percent, up 2.8 percentage points from the same month previous year.